This handsome boy is participating in a clinical trial for dogs with bone tumors (Osteosarcoma). This lady is participating in a clinical trial for dogs with kidney disease. 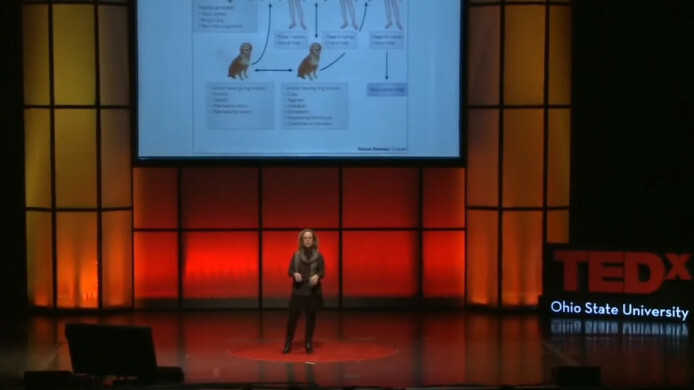 Dr. Cheryl London talks about clinical trials in pets, and how they are more useful when adapting cancer treatments to humans. Learn about the purpose of clinical trials, benefits, risks, impact in humane medicine and more in this video. This clinical trial propose to characterize DLSS in Labradors using a combination of a novel kinematic MRI technique in combination with electrodiagnostic tests. This study aims to assess the accuracy of optical coherence tomography (OCT) for directing pathological sections following resection of canine mast cell tumors. To evaluate a new imaging method (Optical Coherence Tomography) to detect cancer cells left behind following removal of soft tissue or injection-site sarcomas in client-owned cats undergoing surgery.